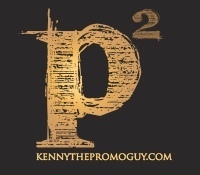 Promo Productions with DJ Kenny The Promo Guy is one of Central New York's elite entertainment companies. Our goal is to take the stress out of your day by providing you and your guests a night of entertainment they will never forget. We use professional sound and lighting, offer free online planning/requests for the bride and groom and online guest requests for family and friends. Visit out website and find out why DJ Kenny The Promo Guy is one of the most referred entertainers in Utica, Rome and Central NY. Kenny was amazing! So much fun to work with. He was so much more than just our DJ for the evening, he posted great pictures and video after the event, all of which were awesome. We were having so much fun that we did the unthinkable and extended the night by an hour! Kenny is the best around. I can't say enough good things about him. I would definitely recommend Kenny to any couple getting married. He took all of the stress out of the planning process, and made our wedding day perfect. Everyone raved about the DJ! Kenny was fantastic. He was very patient with all of our preparation and was gracious to meet with us prior to the event to review the timeline. In addition, Kenny's experience helped to drive the entire flow of the reception.